The average price for this game in the past 6 months is $9.25. The game first became 50% off on Jul 21, 2017 at Fanatical. Lowest historic price was $7.83 on Mar 16, 2019 at Green Man Gaming. Quantum Break ties its historic low for the next 3 days at GamersGate. While the GamersGate Summer sale ends in a few hours, this deal will continue on for some time. New historic low price on Quantum Break thanks to a sale at DLGamer. Steam key. Typically above $30 when on sale. Quantum Break getting its best price to date starting today in GMG's Black Friday sale. First drop under $30. Even better price on Quantum Break at GMG with a 22% instant discount and stacking coupon code. You'll need to login or create an account at GMG to see the full discount. Today at 1PM Eastern Quantum Break will release on Steam for $39.99. 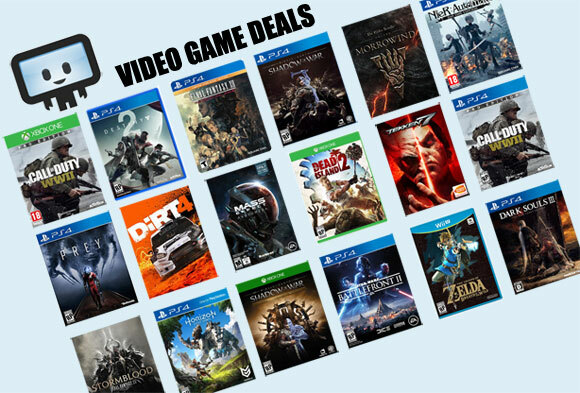 DLGamer put the title on their site with a 20% discount to $32. Nice. The average price for this game in the past 6 months is $14.10. The game first became 50% off on Jun 27, 2016 at Amazon. Lowest historic price was $12.59 on Nov 13, 2017 at GameStop. Thanks to a new coupon, Quantum Break on Xbox One just hit within a dollar of its all-time low last seen a couple weeks ago. Everyone else is charging $5+ more. Quantum Break on the Xbox One hits a new low by $5 at Amazon. Half the usual $60 price tag, which is what Amazon and everyone else is charging for a digital copy. New low on Quantum Break from Best Buy. GCU eligible for an additional 20% off discount which makes the game $28. Store pick up also available. New low on Quantum Break as it receive its first major discount at a big box store with 33% off at Best Buy. GCU takes another $8 off for $31.99. Free shipping, or if you use the GCU discount, free store pick up. Quantum Break hits lowest ever price at NewEgg after coupon. Rates a decent 77/100 on Metacritic. Free shipping.